Chioggia is one of the most important fishing ports. In the morning visit with a local guide to the fish market retail, which takes place here every morning (except Monday), and brings together more than 50 retailers with the products of the local market. Lunch in a typical fish restaurant of Chioggia. In the afternoon, at the wholesale fish market, we will witness the traditional "auction by ear", and then continue with the tour to discover the old town with canals, streets, bridges and countless churches. Dinner and overnight at hotel in Sottomarina di Chioggia. 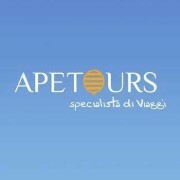 Day dedicated to the discovery of the Southern Lagoon of Venice on a boat available for the day. While browsing you will admire the huts, the mussel farms scattered in the mirror of the lagoon, the nature reserve of Ca 'Roman, which is the southern tip of the beaches that, from Cavallino to Chioggia which divide the lagoon of Venice from the sea. Continue along the Murazzi, operates the Serenissima dating back to 1700, reaching the village of Pellestrina, a thin coast between sea and lagoon, which still keeps a charm all its own, lose yourself in the streets and squares. Stop for lunch in a typical restaurant dishes of fish. Free time available. Return to Chioggia in the late afternoon and we leave for the defendant.